I want you to want me the way I want you. I want you to come to me and tell me that. Then I want you to show me it’s true. Anna Campbell is an Australian novelist and writer. 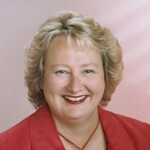 She earned an English degree from Queensland University and is a member of the Romance Writers of Australia. She cites authors such as Dorothy Dunnett, Loretta Chase, and Laura Kinsale as major influences.